The Art of Nom a documentary film about Nom, Vietnam’s thousand-year-old script related to Chinese calligraphy was screened on January 28 in Hanoi. Entitled The Art of Nom, the film examines Vietnam’s culture, history, customs, and the social impact of rapid modernization in a changing world. A group of five Vietnamese artists and scholars has formed an art group called Zenei (avant-garde) to capitalise on the revival. They are Nguyen Duc Dung, Tran Trong Duong, Nguyen Quang Thang, Le Quoc Viet and Pham Van Tuan. 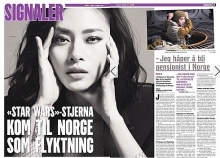 They are reviving Nom, the script widely used between the 15th and 19th centuries. Zenei art is inspired by the beauty, heritage and emotion of Nom characters. In 1945, Vietnam shifted to its current phonetic script based on the Latin alphabet. Except for scholars, few Vietnamese can still read Nom. Nom was on the edge of extinction, and contemporary Vietnamese have faced losing touch with much of the nation’s past that is preserved in the archives written in Nom. Now there is a revival of interest in the ancient script. The Art of Nom film was produced by Bill Perna of Perna Content, a company creating documentaries, web content, and TV commercials; and the Art Vietnam Gallery, which displays exhibitions, performances, artworks and installations by the Zenei group. For more than 1,000 years China’s Han language was the basis for the script used in Vietnam until Vietnamese created Nom. For centuries many Vietnamese could read and write both Chinese and Nom characters. They could also correspond in calligraphy with educated people in China, Japan, the Republic of Korea and Taiwan (China). 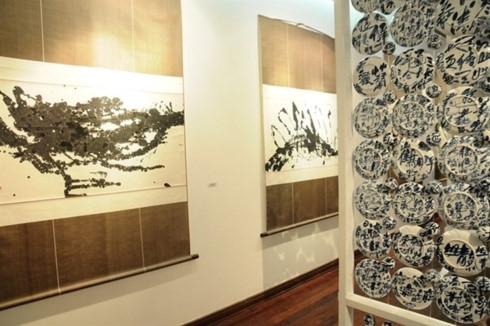 “Now, using Nom calligraphy, the Zenei group wants Vietnam’s contemporary culture to interact with the nation’s rich history,” said Suzanne Lecht, director of the Art Vietnam Gallery. The first public screening of The Art of Nom took place from 2pm to 4pm at The Gioi (World) Publishing House, 46 Tran Hung Dao street, Hanoi.